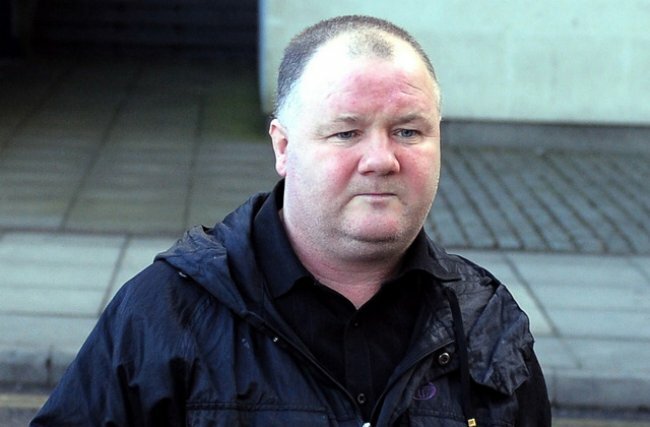 The PA newswire is telling us that Wayne Rooney’s old man, Wayne Rooney Snr, along with the Manchester United striker’s uncle have been arrested and held as part of the nationwide probe in conjuction with the Gambling Commission into ‘suspicious betting patterns’ – the very same probe that also saw Motherwell midfielder Steve Jennings nicked at his home earlier this morning. In fact, all nine arrests made in Merseyside and Glasgow today have been carried out in relation to dodgy bets placed on a match between Motherwell and Hearts on December 14th, 2010. According to the PA, a flood of bets were made on a red-card being shown before ‘Well midfielder Jennings (who was already on a yellow) saw a straight red in the 83rd-minute for using foul and abusive language to the referee. Were the father and uncle the same person? he’s got a face like a pork pie! Can see where Wayne gets it for sure! Oh my god, please tell me that is not a shoop. Too perfect. Wayne Rooney is still a tad uglier than his father. Looks like a doughnut with a face!!! Not hard to see who got all the good looks in that family….no…actually it is. Is it true all he did was put a tenner on Celtic to win the league?